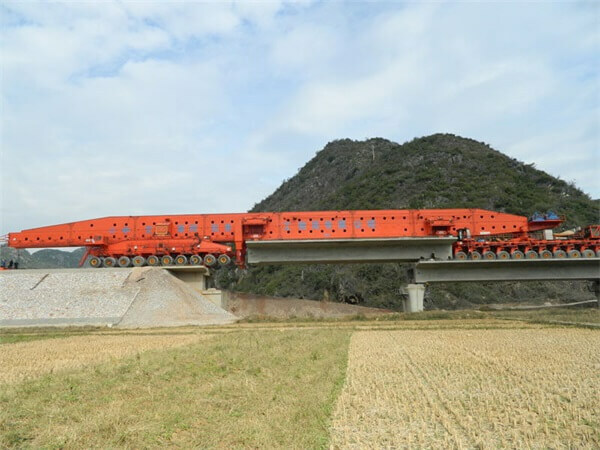 Special Launching Carrier is suitable for high speed railways and passenger special line bridge construction with erecting full span pre-casted concreted beams. 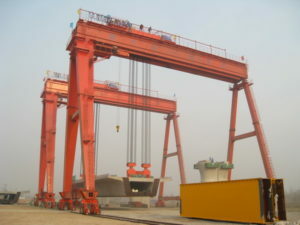 This Full Span Method involves pre-casting of typically 20m to 35m long whole span weighing between 500t -1200t. 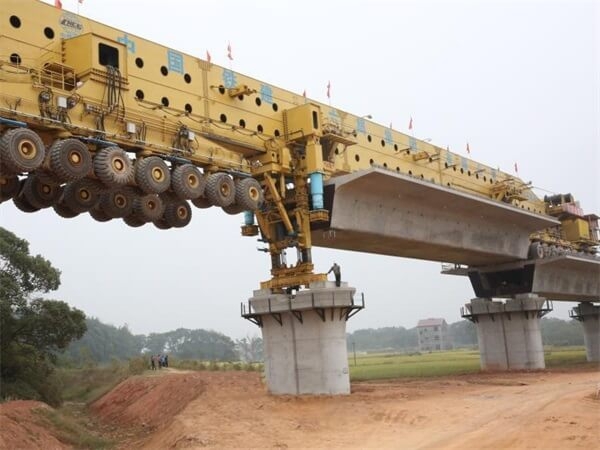 Special Launching Carrier(SLC) is suitable for high speed railways and passenger special line bridge construction with erecting full span pre-casted concreted beams. 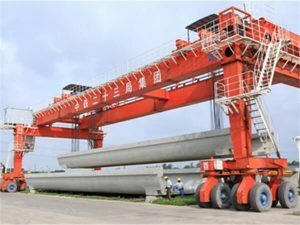 The SLC adopts the design mode of three-in-one with beam of lifting, transportation and erection. 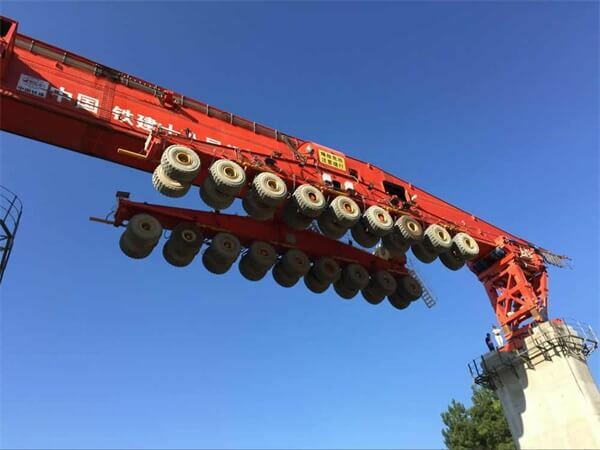 This equipment can directly erect concrete box girder on the top of piers at the entrance or exit of tunnels without the need for disassembling. 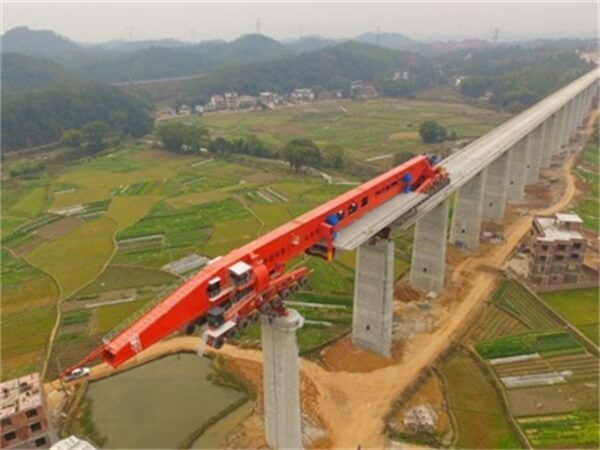 During the operation of the bridge beam, the double line integral hole box girder can be passed the tunnels at 250km/h and 350km/h,and the beam can be erection at the entrance or exit of tunnels. 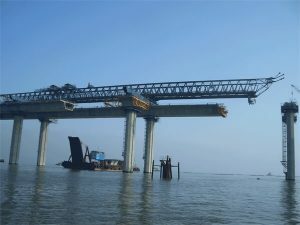 The SLC can convenient erection the first and the end beam of the bridge, and it is convenient to erection the last beam before entering the tunnel and the erection the first beam after the tunnel. 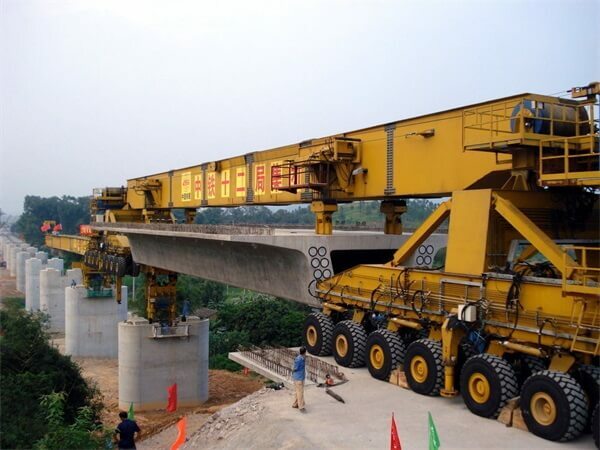 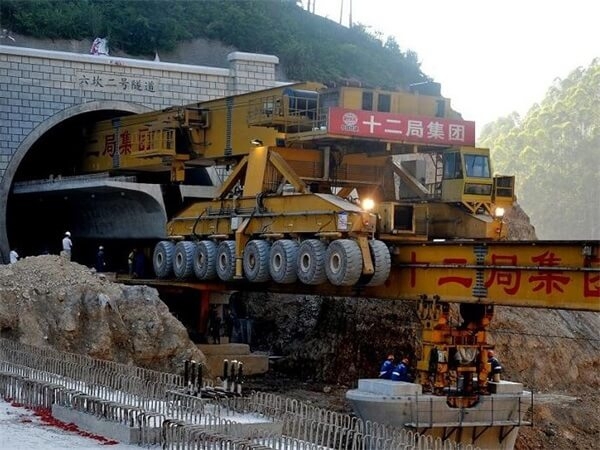 To meet the requirement of erecting full span pre-casted concreted beams, Shenghua supplies various kinds of machines for the bridge construction, including Special Launching Carrier, different kinds of Launching Gantry, etc. 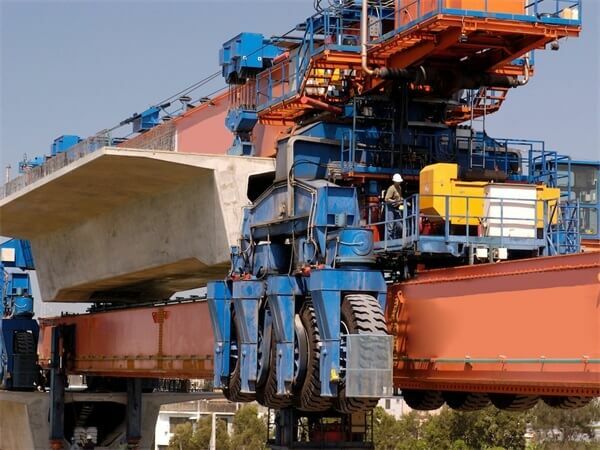 ♦ The SLC adopts the design mode of three-in-one with beam of lifting, transportation and erection.